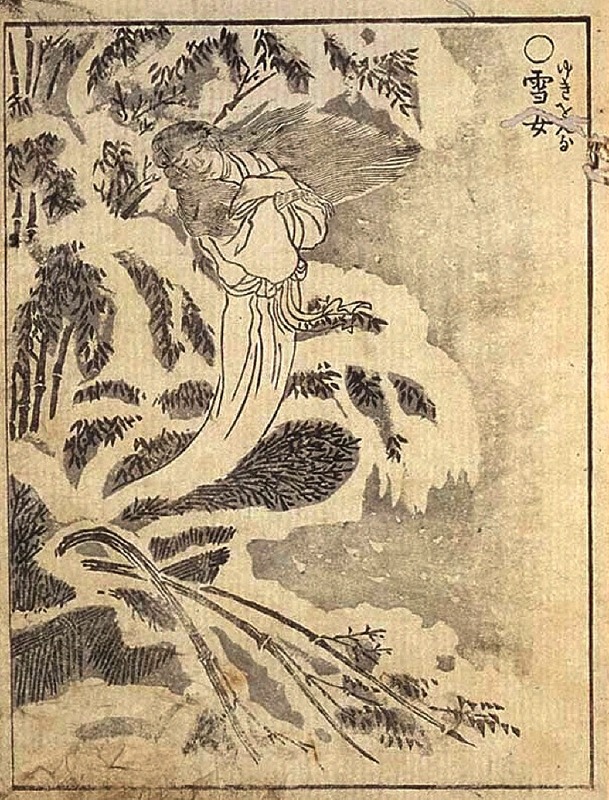 Yuki-Onna as drawn by Seikien Toriyama for Gazu Hyakki Yagyou (画図百鬼夜行, "The Illustrated Night Parade of a Hundred Demons"), Vol. II, 1776. Toriyama was famous for his monster catalogs!